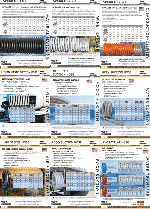 Pacific Industrial Access is an Importer and Distributor of high quality Industrial hose and related products. Since 2001, Pacific Industrial Access has been the Australian home to Globally Leading Brands bringing quality, trust and reliability back into focus. A Full Range of Water Pump Hose Kits to Suit All Seasons. Pacific Industrial Access is here to help with a team of experienced industry professionals who take pride in their work. Our product ranges through hose, couplings, fittings, adhesives and clamps. We service industries such as Industrial Vacuum, Plumbing, Mining, Irrigation, Pool & Spa, Food & Wine, with a strong focus on water transfer products. For pallet loads or a single item, our warehouse facility in Carrum Downs can also assemble hoses and fittings, ready to attach to your equipment anywhere in Australia.